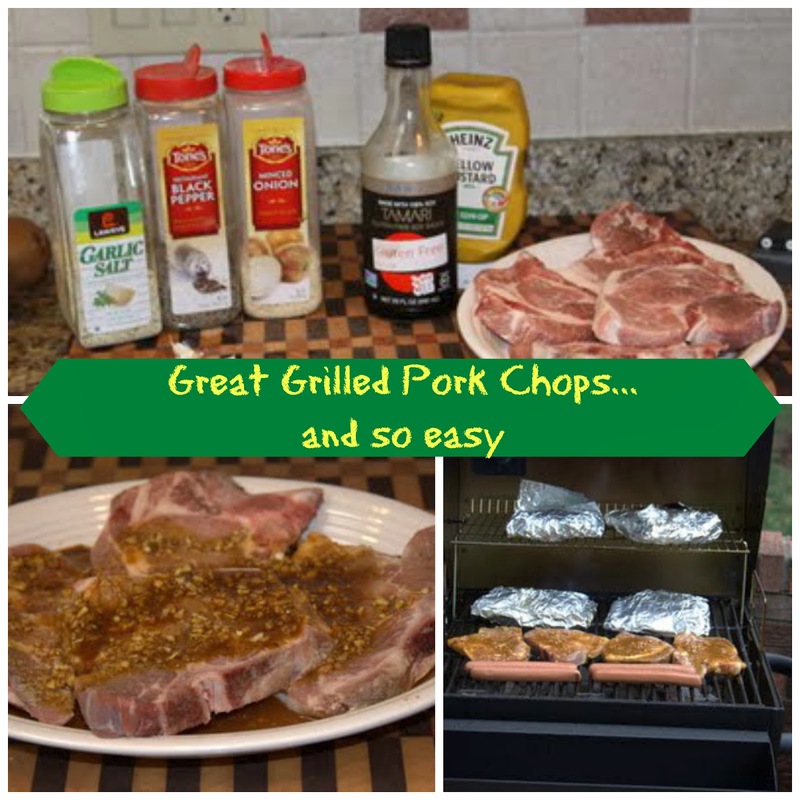 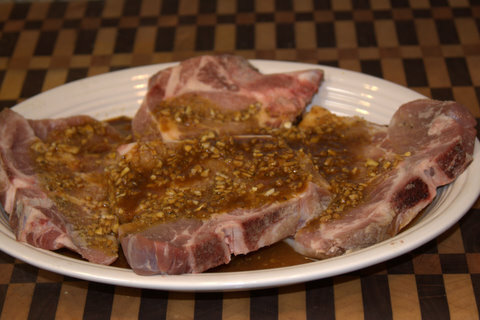 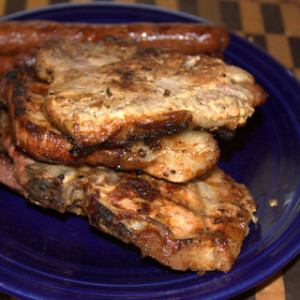 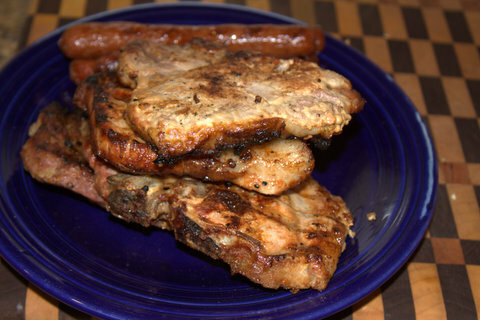 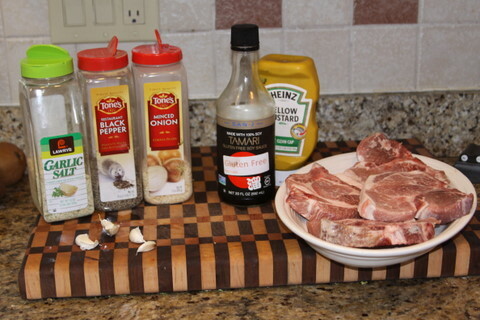 Mix everything but pork chops up and pour over meat and let sit for at least 30 mins. 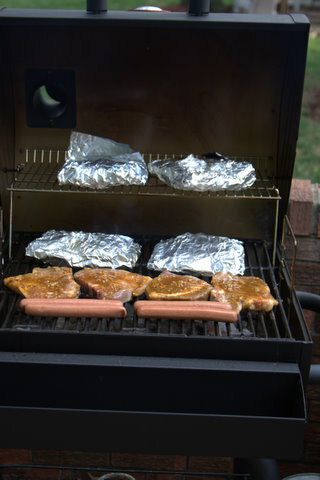 and Grill. 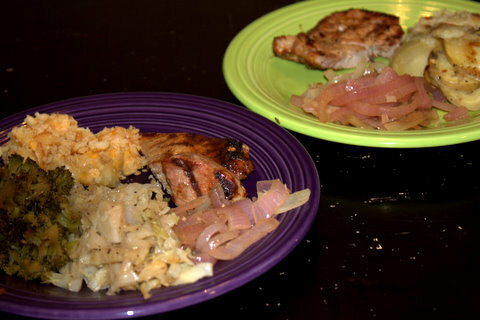 Served with grilled veggies and baked pineapple.